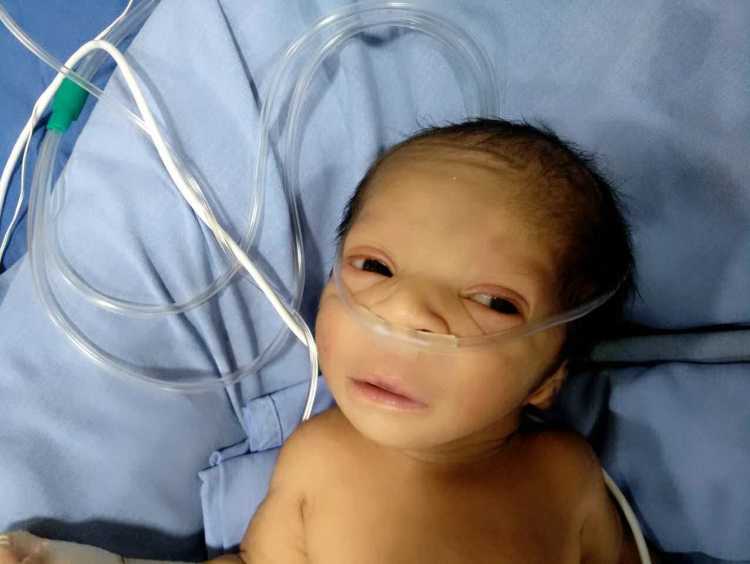 This 4-day-old baby is hanging on to life by a thread and has less than 24 hours to live. Apart from 2 severe congenital heart defects, the baby’s windpipe is abnormally obstructed due to which the baby is unable to breathe. 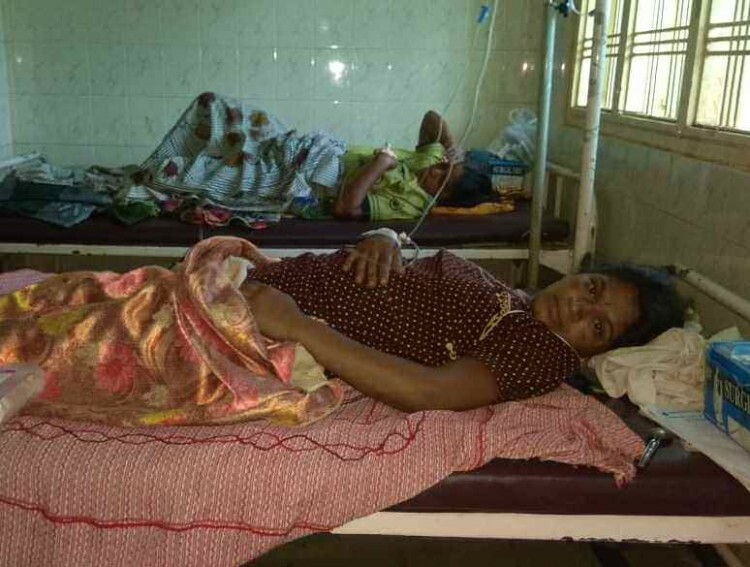 "Menaka and I have just 24 hours to arrange enough money and consent to this surgery. I am a farmer. I do not even have Rs. 1 right now. I am afraid I'll have to watch my baby suffocate to death." 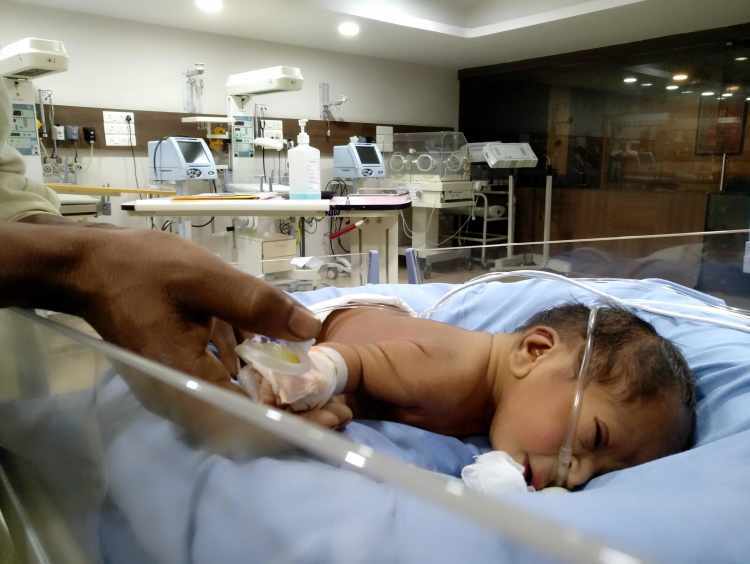 Menaka's 4-day-old infant has been on life-support since birth but his condition is getting worse by the minute. The baby is primarily suffering from a major obstruction in his windpipe and this is choking the life out of the infant. A heart attack last night has put him in a critical condition. 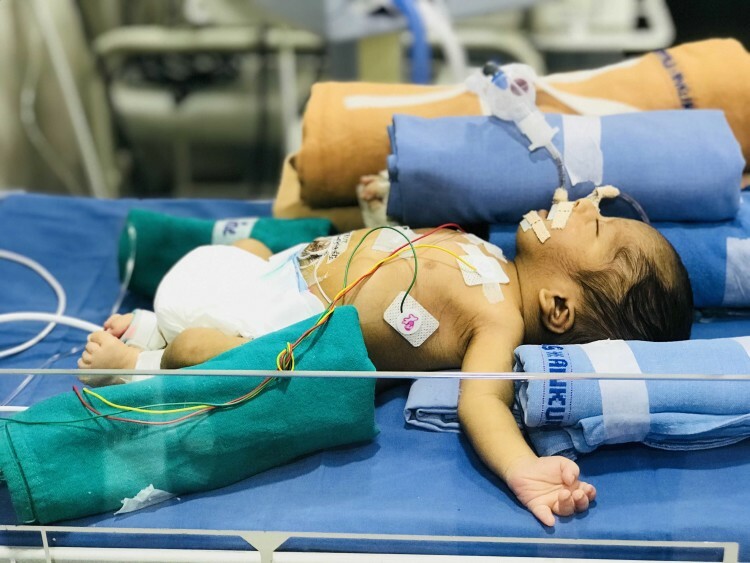 This baby boy was born with two dangerous heart defects, namely, patent ductus arteriosus (defect in the major artery that goes to the lungs) and ventricular septal defect (hole in the heart). Due to these abnormalities, the baby’s oxygen levels have taken a battering and dwindling down every hour. "I didn't even have time to process what the doctor was saying. I couldn't tell Menaka that our son is in this situation. Before we knew it, he suffered a major heart attack last night. Luckily, he survived that, but he doesn’t have long before his heart and lungs give up on him." Menaka and Nagesh have a 6-year-old daughter and 2 years ago, their second son passed away right after birth. They were incredibly grateful for this pregnancy and never thought it would also turn into a race for survival. 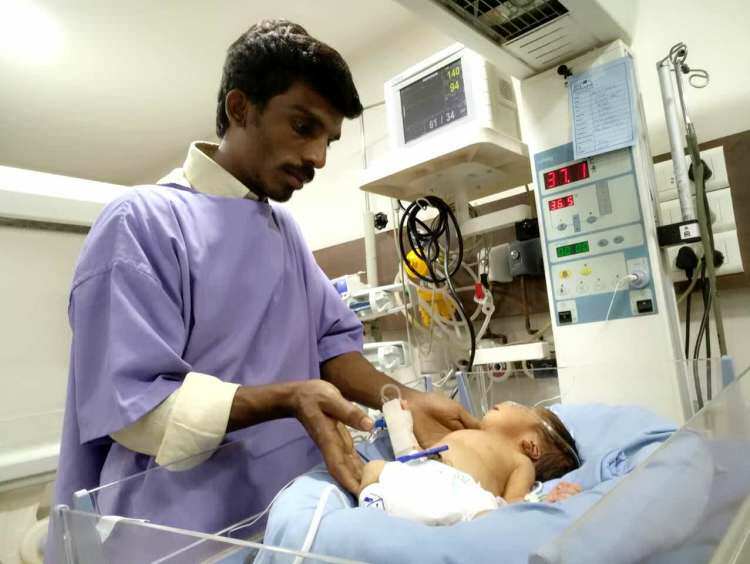 Running 72 hours behind, Nagesh has absolutely nothing left to provide for his dying son’s surgery. The baby needed a surgery right after birth. Nagesh is a poor farmer earning about Rs. 100/day. His financial condition is so poor that it’s hard for him to feed his family too. Even after the surgery, the baby boy needs to remain in the NICU for a minimum of 3 weeks, with at least, 2 weeks of life support. Nagesh, simply, cannot afford such monumental costs, even after borrowing from his family and friends. "I have already lost so much time. With every minute that goes by, my son slips further away. Now, we are left with just 24 hours. I do not know how I can save him now when I couldn't for the past 3 days." Until now Nagesh has already spent, after begging and borrowing, up to Rs. 30,000. He is in desperate need of Rs. 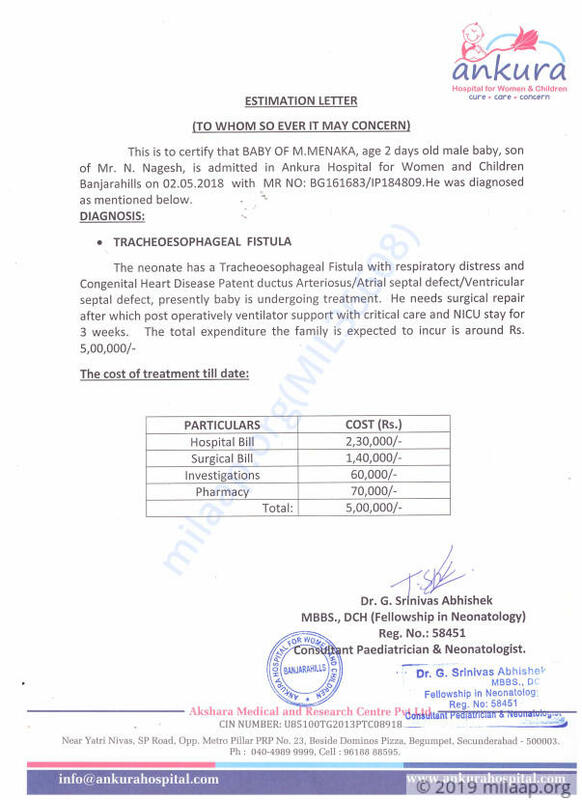 5 lakhs for this life-saving surgery and additional NICU costs. He asks for your help to save his son from the jaws of death. 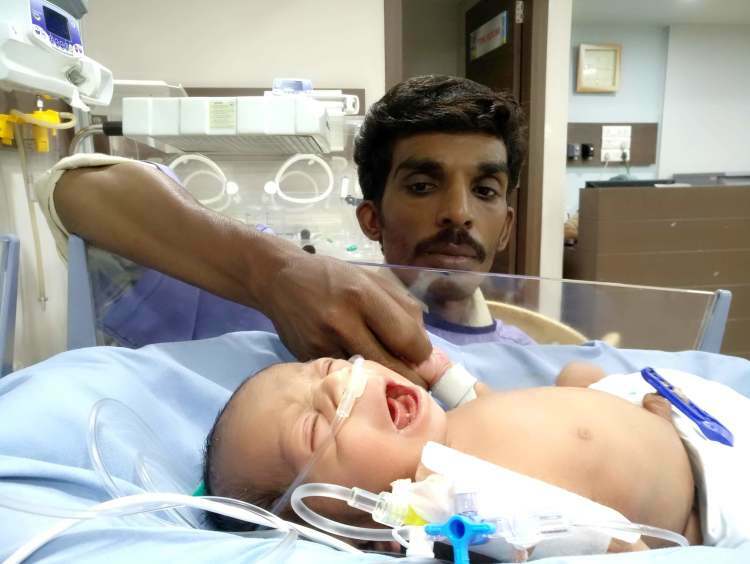 Your support will save 4-day-old baby of Menaka and will ensure that Menaka and Nagesh don’t lose another baby. Baby of Menaka passed away yesterday, 6th June in the morning hours. He had a long battle but he developed sepsis and was under severe respiratory distress. 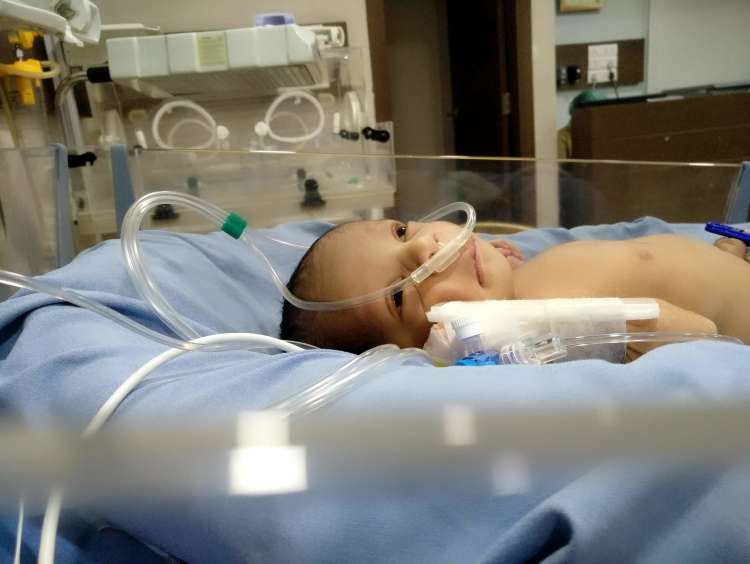 Baby of Menaka was admitted again in NICU and currently he is on ventilator support. He developed breathing problems and was rushed to the NICU. As of now, he is under medication and doctors are observing him closely before they decide a future course of action. We thank each one of you for the support which you have shown towards us, we shall keep you all posted on the baby's health. Please keep praying for his recovery. The surgery went well for the baby. He was on ventilator support for a while but now, he has been put off the ventilator. As of now, he's doing well and there has been some signs of improvement in his health. Doctors have suggested that he will stay under observation for a week. He is being fed with the help of the tube, currently they are giving small doses and they will increase the dosage gradually, depending on how he responds to the treatment. We shall keep you all posted on his health, thank you so much for the love and support which you have shown towards the family. They will be grateful to each one of you. I pray to God that he gives you the strength to fight all the odds.